Prismacolor pencil on black A4 paper. 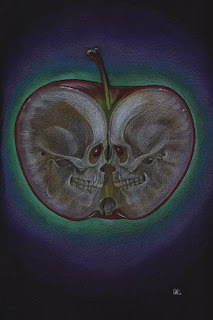 Apple, Forbidden fruit, I had Snow White in mind but that's due to the movie advertised everywhere at the time. Forbidden fruit would have been a better title, but Apple is the original tittle. 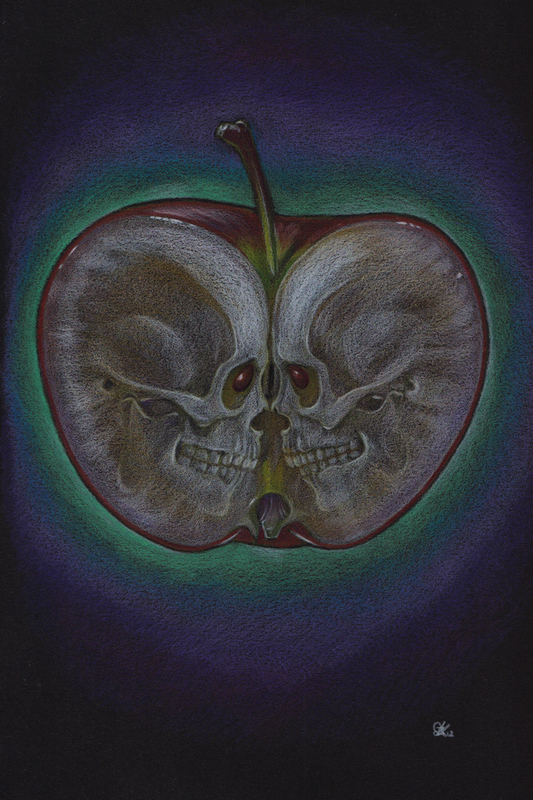 When I had the idea of two skulls merging to make the apple and to have the seeds for eyes, I thought it was genius, and had to write it down straight away. So many times an idea strolls by and if you don't take note of it, it can be gone, never knowing it ever happened.